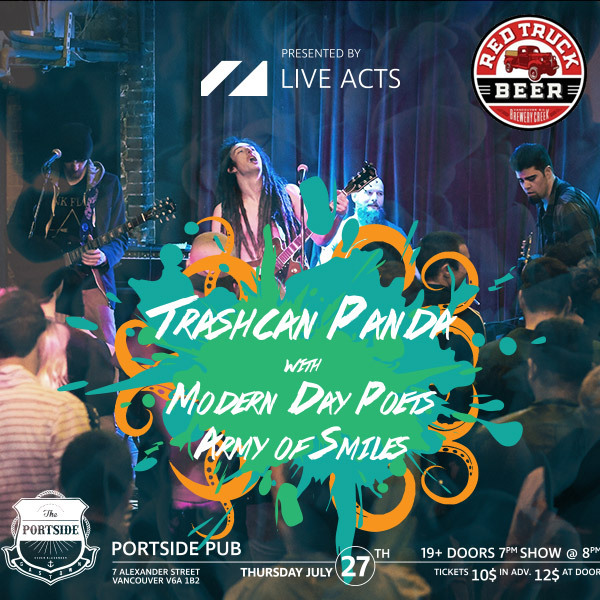 Live Acts Canada and Red Truck Beer Presents Trashcan Panda with special guests Modern Day Poets and Army Of Smiles, July 27th at The Portside Pub. Each online and presale ticket comes with a Red Truck Beer! Tickets: $10.00 in advance (includes one Beer) or $12.00 at the door.